The model year is 2016 and the odometer is at a mere 247 miles, but a nearly brand new Ford Shelby GT350 Mustang—one of the best the manufacturer has ever built, in our racing expert’s opinion—is already up for sale. And wrecked. As is obvious from the odometer and the fact that the 2016 GT350 and GT350R went on sale late in 2015, the car didn’t get to live a very long life before being wrecked and sent to a sale lot by its owner. 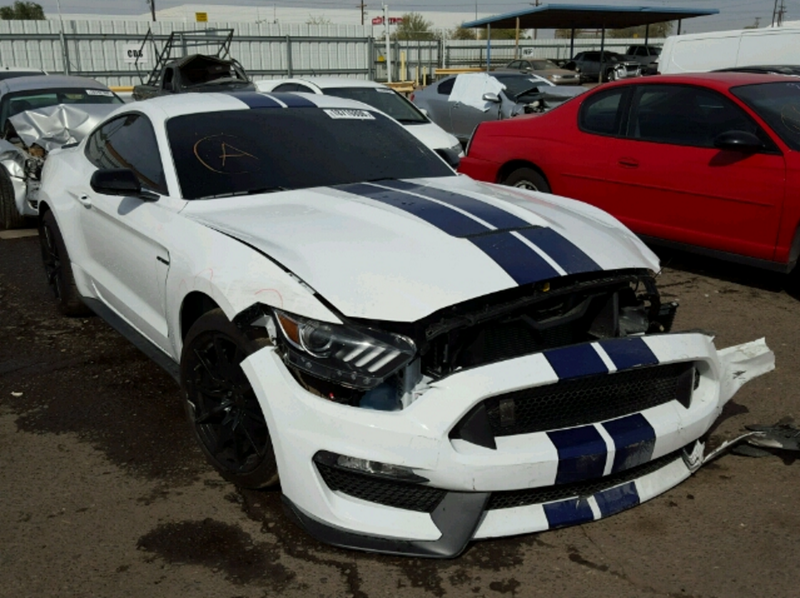 That wreckage leads to a discount, though—the listing has an estimated retail value of $57,468 for this particular GT350, and bids for the car currently sit at $18,100. The sale date for the car is just over a month from now, on April 18. Go get that tax refund—plus a lot of extra money you hopefully have laying around—and purchase yourself a trashed Shelby Mustang. Or don’t. That’s your choice.